Mirrors - LIVING AND CO.
Modern mirror from the Danish interior brand Hübsch. 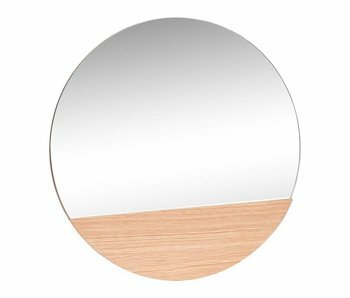 This beautiful round Hübsch wall mirror is made of oak and MDF. 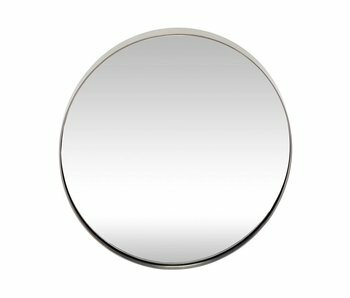 The mirror has a diameter of 50cm and can be beautifully combined with other items from the Hübsch collection! 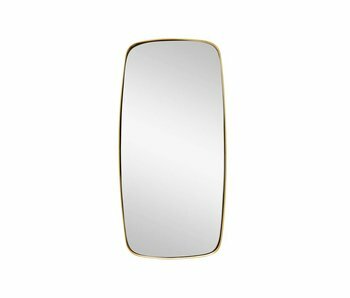 Modern mirror from the Danish interior brand Hübsch. This beautiful Hübsch mirror is made of oak and MDF. The mirror is 90cm high and 60cm wide. Modern mirror from the Danish interior brand Hübsch. This beautiful Hübsch mirror is made of oak and MDF. The mirror is 180cm high and 70cm wide. 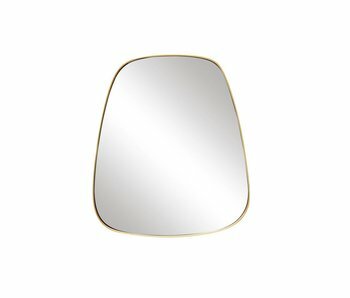 Modern mirror from the Danish interior brand Hübsch. 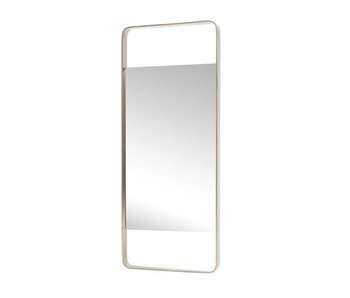 This beautiful Hübsch wall mirror is made of iron and has a height of 59cm and a width of 29cm. Nice to combine with other items from the new Hübsch collection! Modern mirror from the Danish interior brand Hübsch. This beautiful Hübsch wall mirror is made of iron and has a height of 48cm and width of 42cm. Nice to combine with other items from the new Hübsch collection! Modern mirror from the Danish interior brand Hübsch. 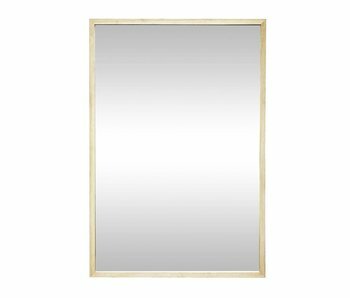 This beautiful Hübsch wall mirror is made of brass and has a height of 48cm and width of 42cm. Nice to combine with other items from the new Hübsch collection! 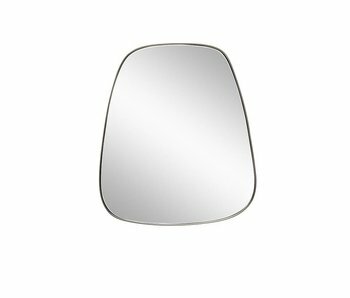 Modern mirror from the Danish interior brand Hübsch. 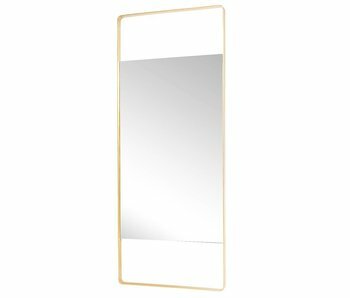 This beautiful Hübsch wall mirror is made of brass and has a height of 59cm and a width of 29cm. Nice to combine with other items from the new Hübsch collection! Modern mirror from the Danish interior brand Hübsch. 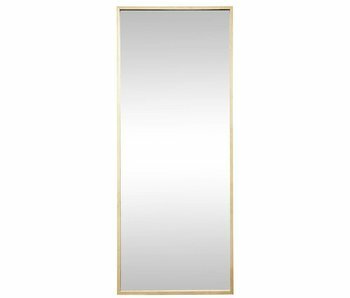 This beautiful standing Hübsch mirror is made of brass and has a height of 152cm. The width of the mirror is 60cm. Nice to combine with other items from the new Hübsch collection! Modern mirror from the Danish interior brand Hübsch. This beautiful round Hübsch wall mirror is made of iron and has a diameter of 40cm. Nice to combine with other items from the new Hübsch collection! Modern mirror from the Danish interior brand Hübsch. This beautiful Hübsch wall mirror is made of iron and has a height of 76cm and width of 31cm. Nice to combine with other items from the new Hübsch collection! Modern mirror from the Danish interior brand Hübsch. 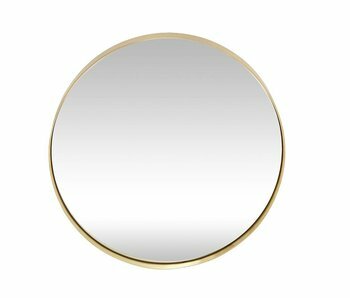 This beautiful round Hübsch wall mirror is made of brass and has a diameter of 40cm. Nice to combine with other items from the new Hübsch collection! Modern mirror from the Danish interior brand Hübsch. 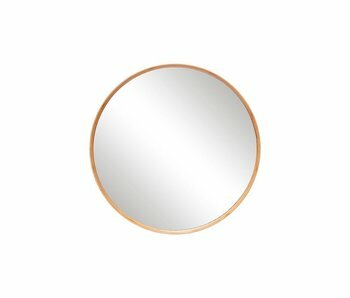 This beautifully round Hübsch wall mirror is made of bamboo. The mirror diameter is 80cm. Modern mirror from the Danish interior brand Hübsch. 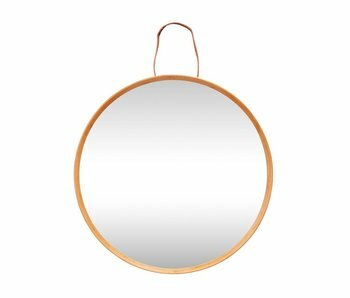 This beautiful Hübsch wall mirror is made of bamboo and has a leather loop to hang the mirror. The mirror diameter is 60cm. Modern mirror from the Danish interior brand Hübsch. 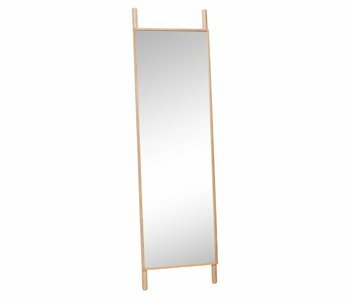 This beautiful Hübsch mirror is made of oak and MDF and has a handy shelf. The mirror is 184cm high and 61cm wide. Modern mirror from the Danish interior brand Hübsch. 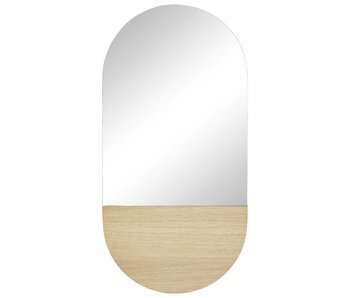 This beautiful Hübsch mirror is made of oak and MDF. The mirror is 188 cm high and 53 cm wide. Modern mirror from the Danish interior brand Hübsch. This beautiful Hübsch mirror is made of oak and MDF. The mirror is 167cm high and 52cm wide.